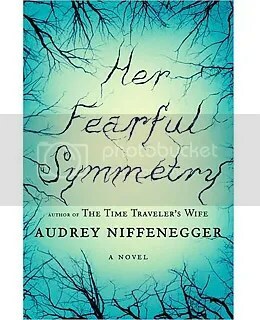 This is my second Audrey Niffenegger book. I was at my local branch library a couple years ago when I saw an interesting title down on the bottom shelf at foot level. The book wasn’t down there because it earned that spot. On the contrary, I found it to be a “Top Shelf” book, for sure. It’s just that through a random alphabetical bit of fate, it landed down there that day. I’m glad I reached down for it. But that book is another story. 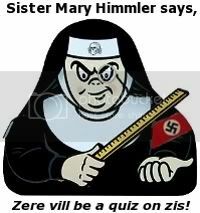 I’m here today to tell you about her latest book called Her Fearful Symmetry. If you read her first book, you’ll be wanting to peruse this one, also. It’s another Top Shelf effort, as far as I’m concerned. It’s a ghost story of sorts, with a twist. I’ve read a few ghost stories in my time. This one is a bit unique, I think. Read it and judge for yourself. It’s the story of young twin girls who inherit a flat overlooking Highgate Cemetery in London from their aunt, who happens to be their mother’s twin. Twins do run in families, after all. There are a few unusual condition in the will that must be met in order for the twins to completely inherit all that their Aunt Elspeth has left them. The young ladies, who happen to live in America with their mom and dad, move to London to fulfill the conditions. There is a mystery here, folks. There’s is abnormal psychology in the form of extreme OCD. There’s romance to go around. There’s even a cute little kitty. I thoroughly enjoyed this book. I believe I was even a bit surprised at having such a wonderful, warm feeling upon closing that back cover. That’s the sign of a good read, after all. Right? Pop in at your favorite bookseller or your local library and pick up a copy to keep you warm on these waning winter nights. If you get a chance, visit Ms. Niffenegger’s website. Posted by V. T. Eric Layton on 26 February 2014 in Books and Literature and tagged Audrey Niffenegger, authors, book review, ghost story, good read, Highgate Cemetery, romance. I’ll add this to my “to read” list. Thanks for the review!